Currently in the UK, if a driver hits a cat with their vehicle they don’t legally have to report the incident, whereas if you strike a dog then you must report it immediately otherwise you are breaking the law. However, as you may have noticed there’s no mention of cats in the list but according to a new survey most drivers would like our feline friends to be included. New survey suggests cats should have equal rights on the roads the same as dogs © Copyright Thomas Nugent and licensed for reuse under this Creative Commons Licence. The Chinese New Year began on February 16 and 2018 is the Year of the Dog. In the UK people also love their four legged friends and according to the RSPCA, there’s around 8.5 million pet pooches up and down the country but not far behind is the much loved cat on 8 million. The survey suggests that drivers in the UK who strike a cat should have to report the incident to the police, the same as they have to do now if they run over a dog. The study found that 59% of drivers would like to see the laws changed for cats, including them in the list of animals that must be reported to the police if struck by a vehicle. Currently, if a driver strikes a cat but doesn’t try to find out who the owner is or take it to a vet, then the body is left on the road until a local council’s waste disposal team comes to pick it up. This means that cat owners may never find out what has happened to their pet if it gets struck by a vehicle and never get closure like dog owners do. 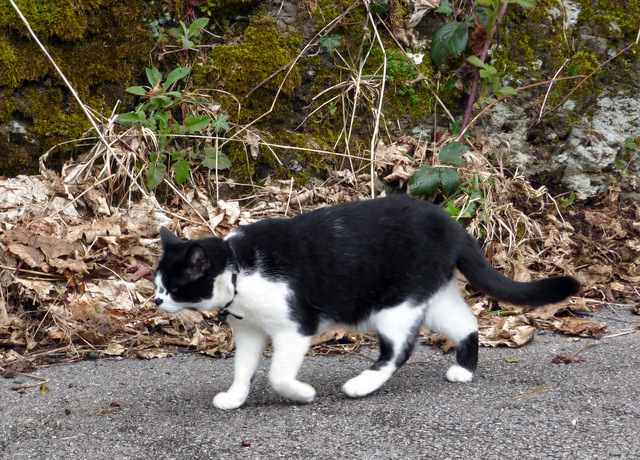 According to figures released by Highways England who look after motorways and major ‘A’ roads in England, within a two year period they found 320 dead cats on their network of roads.